It is with a heavy heart that we inform you about the passing of an industry icon/friend, David M. Thornton, on April 1, 2017. Dave Thornton, along with his childhood friend Charlie Daley, founded Destinations of New York State in 1979. For the past 38 years, Destinations of New York State (DONYS) has actively promoted Domestic and International tourism on behalf of the 11 regions of New York State. DONYS is a private tourism marketing organization, one of the largest in Northeast USA. Dave is known for his charming smile, funny anecdotes, and the wisdom, experience and honesty he shared in the most candid and meaningful ways. We know him for the very fun times but also for the times we have found ourselves in need of his wisdom and advice; because Dave did not just experience it, he created it. A man filled with passion, strong work ethic, a dedication to the tourism industry, and jovial personality helping businesses to successfully promote themselves in tourism. He loved selling New York, but even more so, helping others sell New York! Dave is well known for his auctioneer abilities raising money for tourism student scholarships and his antics at the 30 year ILNY tour operator auction at American Bus Association's Annual Marketplace (ABA). Born and raised in Saugerties, NY, Dave is highly regarded by his hometown. Known as 'Scout', Dave was a proud member of the American Legion Post 72 Saugerties, NY, a Saugerties town parade MC and held various other town honors. 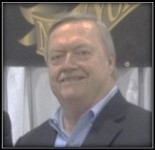 Dave was a Veteran of the Vietnam War and the proud Founding Father of Skal International Albany, NY in 1986 and a past President. Dave touched many lives and will be remembered as a man who knew how to live life and care for others. He loved the tourism industry and led by example. Dave was a loving family man and cherished his wife Sheri and two daughters, Sarah and Andria, who he spoke frequently about with fellow tourism industry partners with pride, love and admiration. The following is the link to the funeral home where you can find Dave's obituary later today. Dave's career in tourism started at an early age, working at the Tourist Information Centers on the New York State Thruway while in high school. Since 1977 Dave and Charlie have managed and operated the Sloatsburg, Plattekill and New Baltimore Travel Information Centers on the I-87 New York Thruway. Over the years, Destinations of New York State has been a major supporter of the I Love New York program and has developed unique tourism promotional programs. These programs include a published Destinations of New York State travel trade manual distributed to the travel trade worldwide, Motorcoach/Tour Operator sales blitzes/missions throughout North America for New York State tourism suppliers and DMO's, 30 year Destinations of New York State co-op booth and famous New York State live auction at the ABA's Marketplace, annual Destinations Group Travel Show & FAM tour program, annual New York City Buyer Sales Exchange, co-op mailing program to Motorcoach/Tour Operators, quarterly New York newsletter, New York State Golfer's Guide and New York State Vacation Planner. For years Dave and Charlie have actively prepared travel and tourism college students educating them for their tourism careers. Destinations of New York State coordinates annual fundraising raising thousands of dollars for the Destinations of New York State Travel, Tourism, Hospitality & Culinary college scholarship fund in partnership with the New York Tourism Industry Association (NYSTIA). Dave has been honored by his peers throughout New York State receiving many accolades over the years with the following noteworthy awards: I Love New York Individual Achievement Award and the I Love New York Motorcoach Distinguished Service Award - in appreciation for the dedication and service in the development and support of promoting New York State as a Motorcoach Destination.